Lower Merion Township municipal offices are located at 75 East Lancaster Avenue, Ardmore PA 19003; phone: 610-649-4000. Lower Merion [1,2], a first-ring railroad suburb of Philadelphia, is a township comprised of many complex historical layers. Among the late-19th and early-20th century neighborhoods lies a collection of 17th-century meetinghouses, 18th-century farmhouses and inns, and 19th century Victorian mansions and mill buildings. 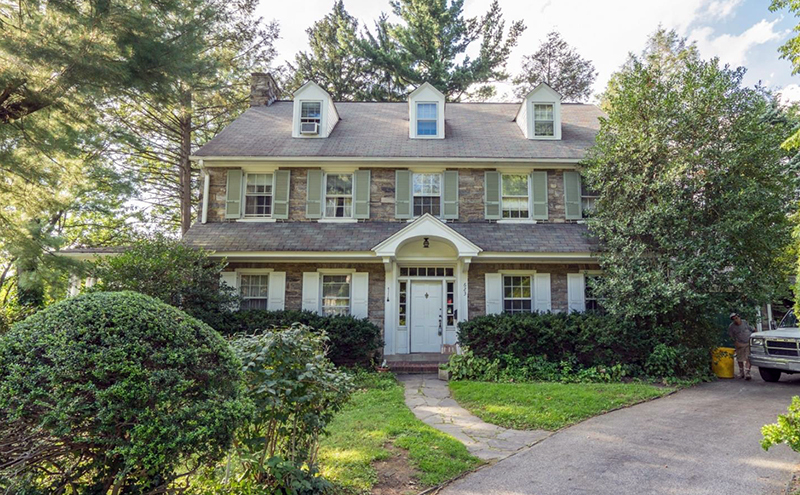 Important architects like Frank Lloyd Wright, Louis Kahn, Frank Furness, Paul Phillipe Cret, William Lescaze, Wilson Eyre, and William Lightfoot Price have built in Lower Merion, and some have even lived here. Gladwyne, Belmont Hills, Bala Cynwyd, Merion, Penn Wynne, Wynnewood, Ardmore, Bryn Mawr, Haverford and Rosemont, along with neighboring communities in Chester and Delaware Counties, make up what is commonly referred to as the "Main Line." Lower Merion Township was first settled in 1682 by Welsh Quakers who were granted a tract of land by William Penn. In 1713, Lower Merion was established as an independent Township with about 52 landholders and tenants. In 1900, the Township was incorporated as a Township of the First Class. The Southeastern Pennsylvania Transportation Authority's famous Paoli Local, serving the Main Line and providing frequent commuting service to and from downtown Philadelphia, travels through the Township, paralleling U.S. Route 30, with station stops within the Township at Merion, Wynnewood, Ardmore, Haverford, Bryn Mawr and Rosemont. The Manayunk Branch (Schuylkill Div.) of the railroad stops at Bala and Cynwyd. Other unincorporated communities within the Township are Belmont Hills, General Wayne, Gladwyne, Penn Valley, Penn Wynne and Villanova. Lower Merion Conservancy, Issues Report: Appendix C: Historic preservation best practices, a white paper for Lower Merion Township, 2010, www.lowermerion.org, accessed September, 2016. Lower Merion Township, Township Economy and Demographics, www.lowermerion.org, accessed September, 2016.